Authentic Indian Food - cooked in a proper tandoor oven. Indian - takeaway/delivery service in Costa Teguise, Lanzarote. 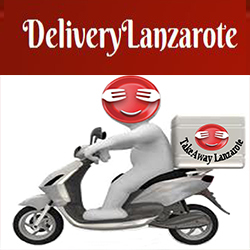 ***Food & Drinks Delivery Takeaway Costa Teguise - Indian Restaurant - Lanzarote - Canarias --Food & Drinks(24h) Delivery Service - TakeawayLanzarote Group | Canarias | Las Palmas. Boneless Chicken breast pieces. Famous Dishes - Tradicional IndianCurry Takeaway Arrecife Lanzarote Restaurant - Indian TakeawayTakeaway Food Costa Teguise, Lanzarote.Food Delivery Service - Lanzarote. Duck Breast Pieces. Famous Dishes - Tradicional IndianCurry Takeaway Arrecife Lanzarote Restaurant - Indian TakeawayTakeaway Food Costa Teguise, Lanzarote.Food Delivery Service - Lanzarote.TakeawaySpain Group - Canarias, Las Palmas, Lanzarote, Costa Teguise.